Many people think that nothing can be better than just to burn the pallets as fuel! 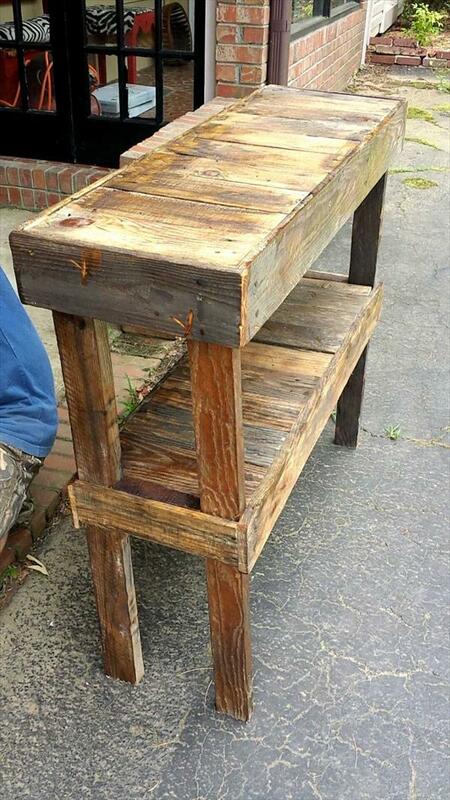 But modern ways of pallet wood recycling are just enough to prove them wrong and pallets are just becoming a cost effective secondary channel to live the life of luxury! Awesome wooden furnishings, rustic home decors and outdoor housing projects are all the rage to do with pallets and people are looking deeply obsessed with these remarkable uses of pallet in these days! 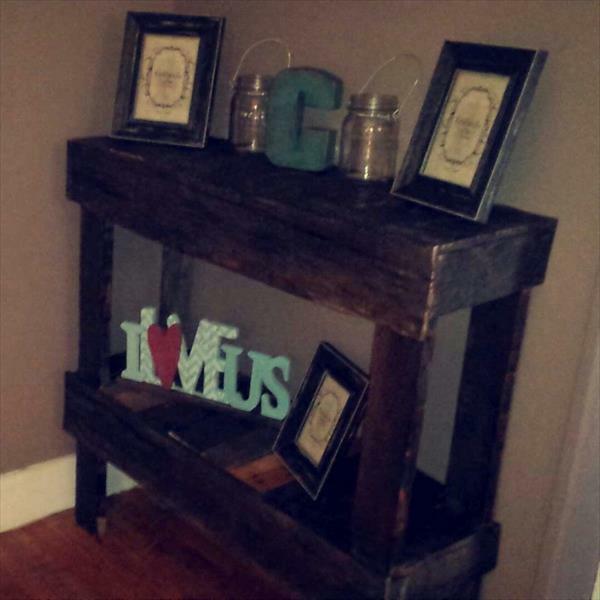 If you are beginner and really want to achieve a functional object out of pallets then this DIY pallet entry decor table is a perfect choice! 2 tiered design just provides more space to organize a bundle of your decors in a mind-blowing display and hardwood nature of pallets just ensures the lifetime availability of this rustic yet functional table shape! This wooden table would also work amazing at your hallway and foyer position and can also be used as behind sofa table in your ever coziest living room!